My husband, Dan Fannin, and I went on a Global Village trip to Halifax, Nova Scotia from August 18-25, 2018. Seasoned trip leaders, Cindy and Jerry Schultz of Olympia, led our group of 16. Ours was the first from the U.S. to be hosted there. 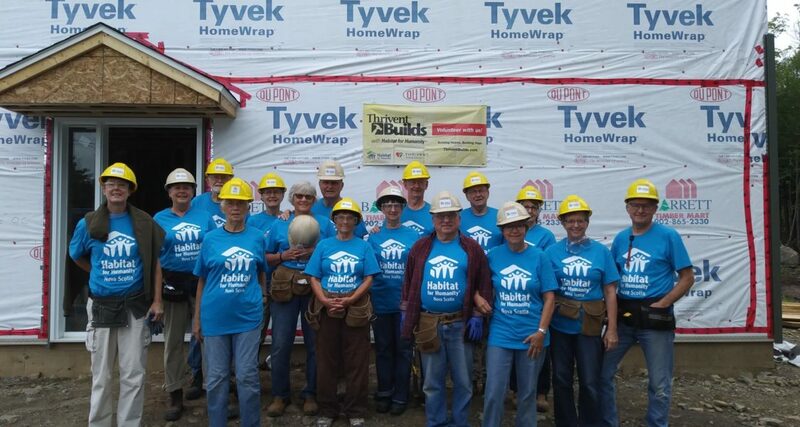 This particular trip was also a Thrivent Builds Worldwide project, which means that an additional $16,000 was donated to Habitat for Humanity Halifax thanks to Thrivent Financial. 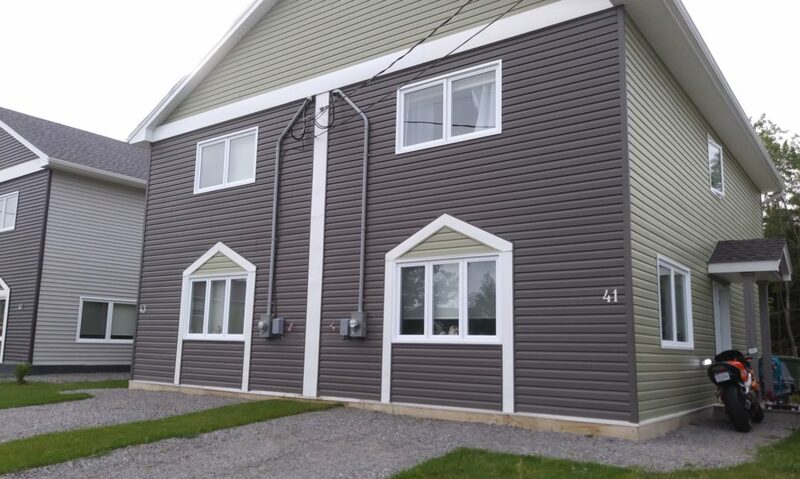 While in Halifax, we worked on the fifth home (duplex), located on a six-acre donated property that will eventually have 90 housing units, including a four story apartment building. 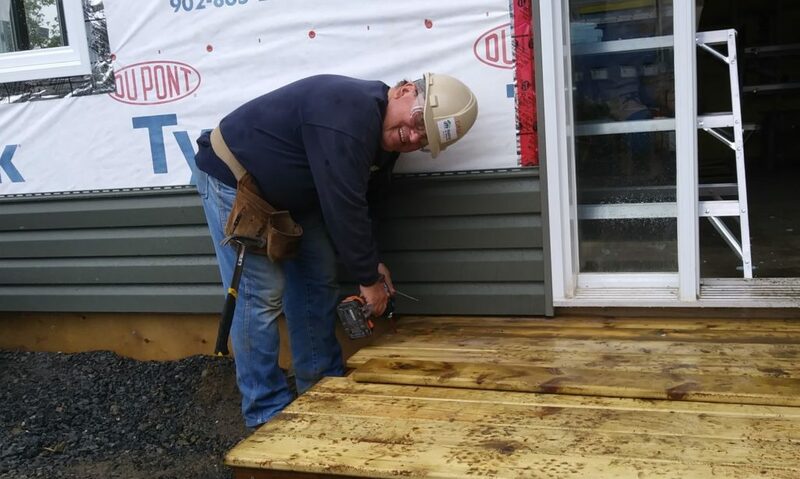 Steve Davies, the construction manager with 40 years of construction experience, led a very well organized operation and was assisted by two journeymen carpenters, plus several regular volunteers. They put our team to work on insulating, putting up vinyl siding, building porches, and other tasks. We got so much done they were worried they wouldn’t have enough work for the next group. Besides our work on the site, we took in some of the Halifax sights including the downtown waterfront and a side trip to Peggy’s Cove. Given the size of this project, follow-up Global Village trips to Halifax are likely. If you are interested in joining a future trip, please contact Mary at lafannin@msn.com. One of the first four finished duplexes. 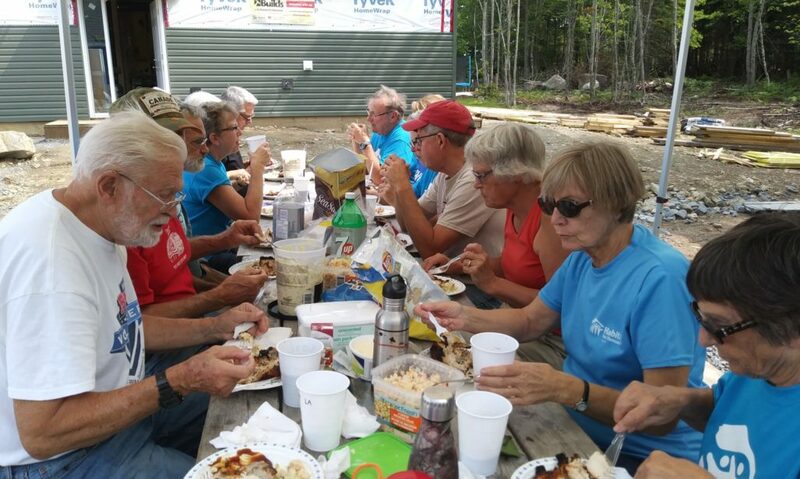 Having lunch on the site.